Facebook recently made changes to their Platform Policy to ensure that communication on Facebook Profiles stays on a personal level. To help you keep sharing content with your followers, Blog2Social is now introducing Instant Sharing for Facebook. 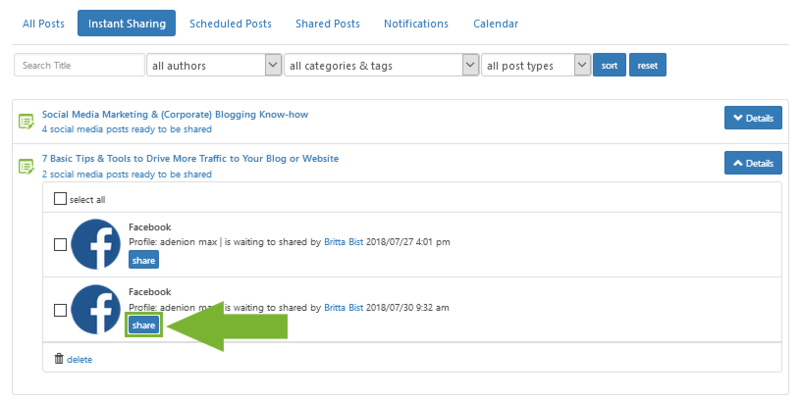 You can still schedule your Facebook Profile posts with Blog2Social. After scheduling your posts for your Facebook Profile, they will be listed in the “Scheduled Posts” tab on your “Posts & Sharing” navigation bar. On your scheduled date, your posts will move to the “Instant Sharing” tab and you can click on “share” to send them to your Facebook Profile instantly. Please note: Instant Sharing connects to Facebook through your Facebook Profile. 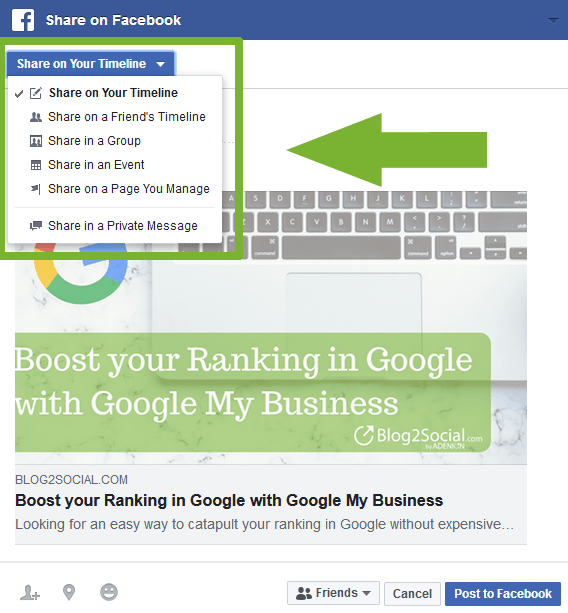 Even if you want to use Instant Sharing to share on Facebook Pages, in Groups or Events, you need to schedule your post for your Profile first. Later, you can choose where you want to share your post. All scheduled posts for your personal Facebook Profiles with scheduled dates starting from 1st of August and later will automatically be turned into Facebook Instant Sharing posts. 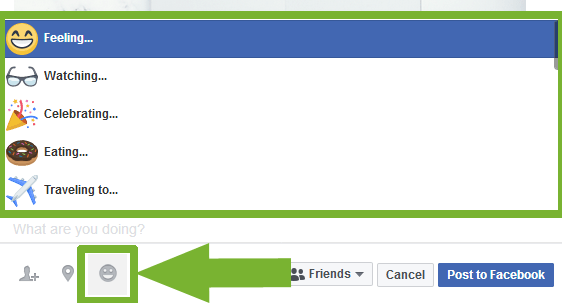 Clicking on "Share" will take you to the Facebook Instant Sharing window. If you are not already logged into Facebook, you will be asked to do so. If you have or manage more than one Facebook Profile, please make sure to log into the right profile before sharing. The Facebook Instant Sharing window offers multiple ways to tailor and share your Facebook posts. 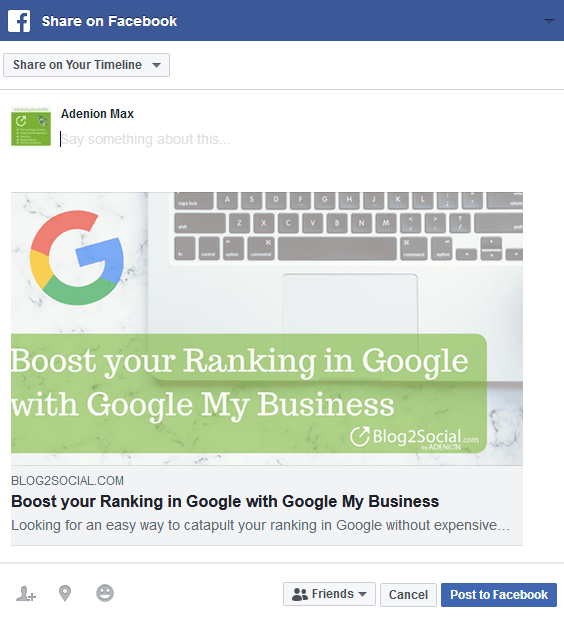 Blog2Social will automatically add a link to your post. The Facebook link preview shows how your post will be displayed on Facebook. Add your comment to the “Say something about this…” section to individually tailor your post. You can also use @handels to tag friends. Choose where you want to share your post on in the top left section of the Instant Sharing window. Add an emoji or activity to further personalize your post. If you like, you can even add your location. Tag people in your post with the “Who are you with?” feature. Finally, choose who should see your post. If you are happy with your Facebook post, click on “Post to Facebook” to share your post directly on your Facebook Profile. Please keep in mind: In order to share a blog post, make sure that your blog post has been published and is public, to be shared on your Facebook Profile with Instant Sharing. 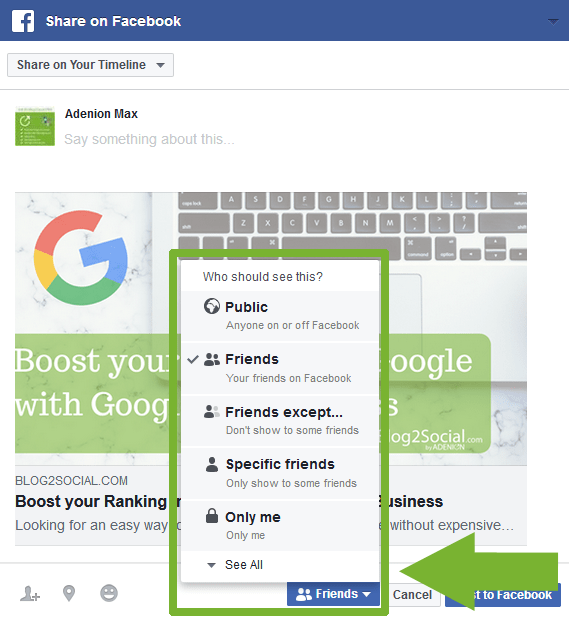 If you want to keep on scheduling and sharing your content automatically on Facebook, think about converting your Profile to a Facebook Page as Facebook has restricted automatic posting on Facebook Profiles for all social media tools. When I post to Facebook, no image or the wrong image appears in my post. Why? How do I re-publish old blog posts? How do I publish blog posts from other authors on social media? 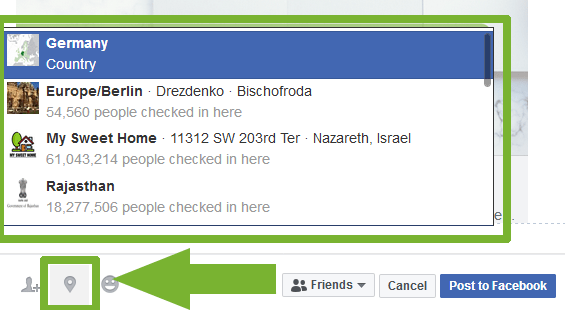 How to automatically post to multiple groups on Facebook? How do I auto-post and auto-schedule blog posts on social media with the Social Media Auto-Poster? I connected my Facebook page, but I still cannot post to that page. What can I do? How to automatically share your blog post on Twitter? Why does my Instagram post appear without caption and hashtags? How to automatically publish blog posts on Medium or LinkedIn Pulse? How do I select the image I want to share on social media? How do I publish already shared posts again? How can I delete already shared posts in the freemium version of Blog2Social? I posted on my social media without selecting an image, but in some networks the post still does appear with an image. What are open graph tags and what do I use them for? What is a shortcode and what do I use it for? When I post to Google+ only the image of the post is published but no link or text. Why? When I submit to reddit I cannot select all the subreddits I've subscribed to. Why? Why do I receive the error message "Post not found" when posting a link post to Facebook?